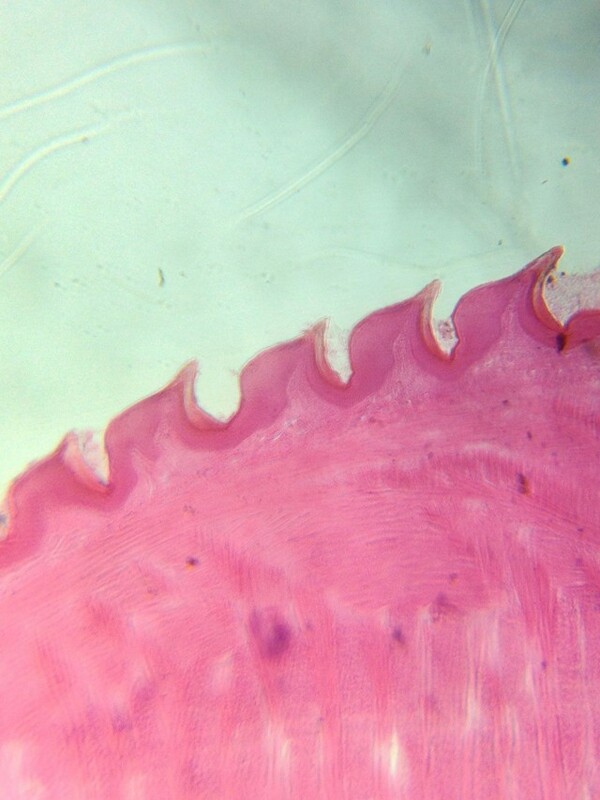 Turn your iPhone into a microscope for $10. Taking macros of your monitor or American Apparel hoodie with your iPhone is so last year. 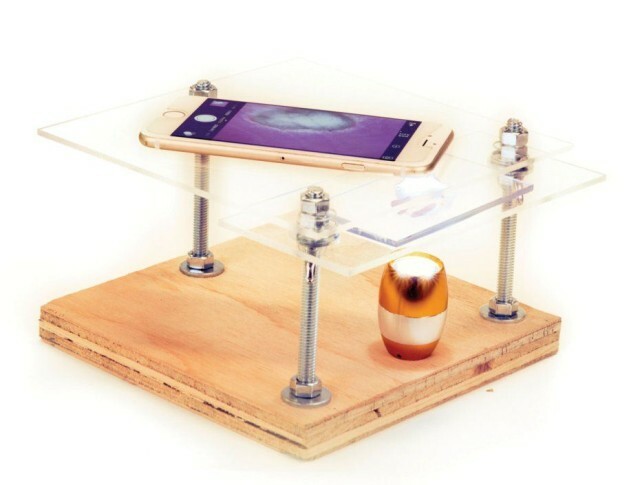 A Make Magazine tutorial shows you how to make a powerful microscope with up to 375x magnification using just your iPhone, a clear plastic panel, a piece of plywood and some inexpensive hardware. If you’re a DIY-er that knows how to drill holes and take apart a laser pointer on a keychain, you could be taking super up-close pictures of cricket legs and your cat’s tongue before you know it. Make contributor Kenji Yoshino has put up all the steps you’ll need to create this slick microscope that lets you magnify all sorts of things, not just the stuff you’ll typically find in a laboratory. basic nuts and long bolts that will let you adjust the height of the specimen tray. You can use it with or without an external light source (Yoshino suggests a small LED click light), making it perfect to use either outdoors or inside. Yoshino took a picture of his cat’s tongue (eesh – sharp), some cricket legs and some fly wings with his homemade microscope. Be sure to head over to Make to see them all; they’re pretty fantastic for such an inexpensive setup. I’m sure someone could do a convincing science fair project like this. This entry was posted in Apple news and tagged Cheap, DIY, iphone, Kenji Yoshino, microscope. Bookmark the permalink. Sketchy rumor claims Apple Watch 2 is coming later this year. iRig 2 Guitar Interface Now Available for iPhone, iPad and Mac.